The name says it all! This mix was developed to meet the special needs of the Roller, especially during the flying season. You can feed this formula all year round, as it is well balanced, contains high protein and fat levels, and has an excellent energy profile. 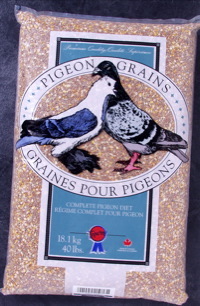 Roller mix is perfectly suited for all the smaller breeds of pigeons, particularly during the breeding season. Our Roller mix excels as a raising food for all the small beaked birds. Milo-red, white peas (small), popcorn, maple and/or austrian peas, buckwheat.